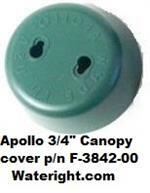 Cover is used. 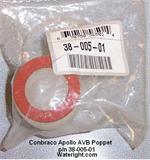 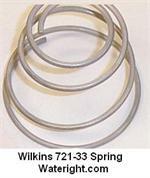 It is hard to find part new or used. 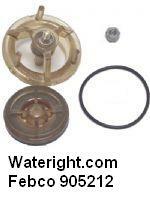 New cover not available. 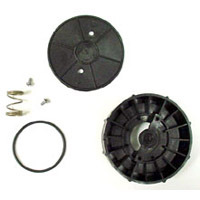 1'' AVB COVER ASSEMBLY SHUT OFF FITS 709 / 2709PR Lawn Sprinkler Backflow Part # 147501-H 1"
3/4'' AVB COVER ASSEMBLY SHUT OFF FITS 706 / 2706PR Lawn Sprinkler Backflow Part # 147501-H 3/4"
Rainbird 100 1" PVB Vent float kit Conbraco 405 3/4" - 1" PVB series or Watts 800 PVB 1" Backflow Part # 0886025 Watts RK 800V 1/2" - 1"
Rainbird JT/AS-075 Jar Top Anti-Siphon Valve 3/4"
Watts 0886037 PVB Bottom Check Backflow part fits Watts 800M2 Backflows 1/2" - 1" RK800M2CK1/2-1"
Wilkins 136N o-ring fits 3/4" - 1" check cover for the 975xl or 950xl also fits bottom check seat on the Wilkins 975XL or Wilkins 950xl 11/4" - 2"
Wilkins 721-33 Spring fits 720a backflows 3/4" - 1"
Wilkins 974-18 Relief Valve Seat with o-ring 029N Backflow part fits Wilkins 975XL Reduced Backflow 11/4" -2"
Wilkins 975xl 11/2" - 2" check seat and check seat o-ring backflow p/n 954-18s and 136n also fits 950Xl 11/4" - 2"
Wilkins 975xl 3/4" - 1" check seat and check seat o-ring back flow p/n 952-18s and 125n also fits 950Xl 3/4" - 1"
Wilkins Rubber repair Kit fits 11/4" - 2" RPZ includes both rubber washers for the first and second check , relief diaphragm, brass nut o-ring, relief washer, and relief valve o-ring. 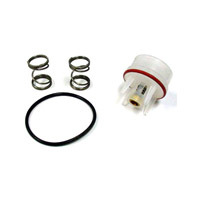 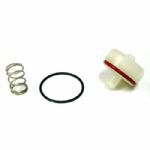 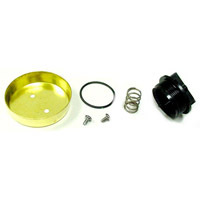 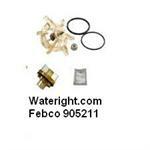 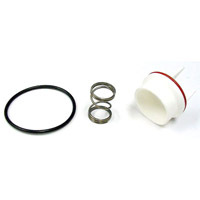 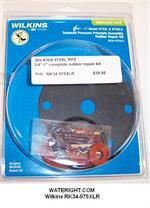 Wilkins Rubber repair Kit fits 3/4" - 1" RPZ includes both rubber washers for the first and second check , relief diaphragm, brass nut o-ring, relief washer, and relief valve o-ring.